After the bitterly cold temperatures of Sweden, where Citroën Total Abu Dhabi WRT secured its first podium of 2018, the World Rally Championship heads across the Atlantic to the milder climate and high altitudes of Mexico, the setting for this year's third round. Mexico sees the much anticipated return of Sébastien Loeb and Daniel Elena, who line up alongside Kris Meeke and Paul Nagle as the team looks to confirm its good start to the season. There is no substitute for experience and this is especially true at Rally Mexico. The combined effects of high altitudes and high temperatures put the cars under stresses that are not encountered elsewhere. Its specific features are therefore so difficult to reproduce in European testing that you need to get miles under your belt here in order to have a chance of getting among the frontrunners. Citroën Total Abu Dhabi WRT has the experience required to do well at the third round of the season and the first on gravel, with seven wins from the thirteen times the rally has been contested as part of the WRC. This is especially the case as this year's line-up features Kris Meeke / Paul Nagle, who scored the brand's most recent win here last year, and Sébastien Loeb / Daniel Elena, who claimed the first six wins (2006, 2007, 2008, 2010, 2011 and 2012). Whilst he initially made the most of his road position to lead in the early stages in 2017, Kris Meeke then did more than just hold off the consistent attacks of the now five-time world champion. 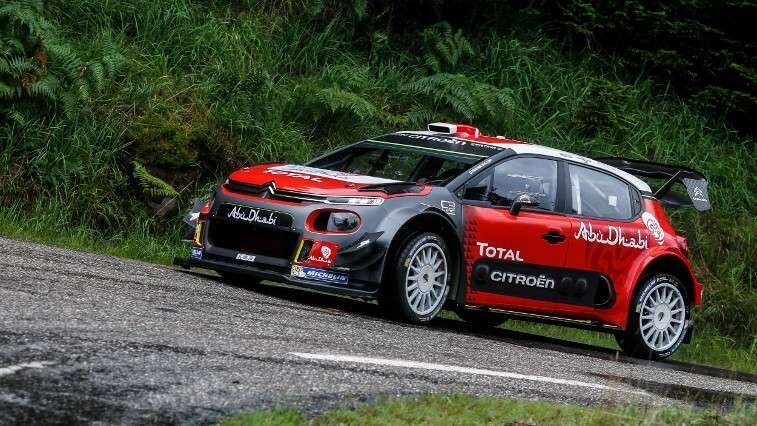 He went on to secure a deserved maiden win for the C3 WRC, despite a major scare in the last few metres. The driver / co-driver pairing therefore know that they can be competitive at this event, which is why they have genuine hopes of a result at this year's rally, as they aim to confirm the team's successful start to the season. 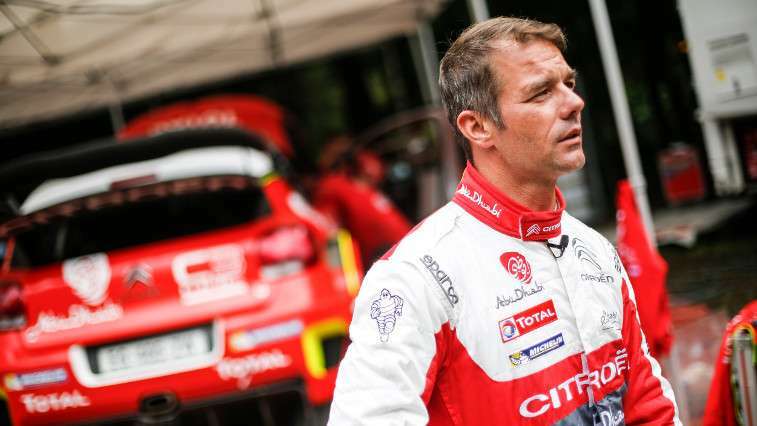 The situation will be slightly different for Sébastien Loeb however, as the 44 year-old returns for the first round of a three-rally programme (also including the Tour de Corse and Rally de Catalunya) for the team with which he began his career. With his last outing at a WRC rally going back to Monte-Carlo 2015 and his final full season as long ago as 2012, the nine-time World Rally Champion – whilst remaining very active in other categories – is very likely to be short on time in a rally car. He is also bound to lack knowledge of the stages and this new generation of WRCs, compared with the increasingly tough competition. But there is no doubt that he has the talent to spring a surprise at one of his favourite events. The local roads are reputed for their variety and for the opportunities they offer the teams to really express themselves. However, they also feature a fine layer of sandy gravel that tends to be swept clean as more cars complete the stages, which is why it is so important to have a good first day. Tyre choice may have a significant influence on the outcome. With less wear than usual, due both to the sandy, loose ground and the reduced power of the cars, teams and drivers often end up hesitating – despite the heat – between Michelin's hard and soft tyres. With an average altitude of 2,200 metres – peaking at 2,737 metres above sea level – and temperatures of around 25 degrees, Mexico provides a challenge like no other rally, testing the reliability of the cars to the max. In these conditions, the lack of oxygen means that special attention must be paid not only to cooling the engine, but also the hydraulic components and the brakes, particularly by adjusting the size of the radiators used. The other adverse side effect is the loss of power that the engine specialists attempt to mitigate every year by improving mapping during test sessions at altitude and on engine test beds. This is because at this time of year, temperatures are more likely to be sub-zero than in the mid-twenties at European testing sites located at 2,000 metres above sea level or higher. Pierre Budar, Citroën Racing Team Principal: "The aim will be to pick up where we left off in Sweden. We know the specifics of this rally very well and claimed the C3 WRC's first ever win here. However, we also know perfectly well that the season's opening round on gravel is unusual, mainly due to the altitude, and that can shake things up completely. Kris is comfortable here, as he showed in 2017, and will be in a good position to record another strong result. Lastly, I'm delighted to see Sébastien and Daniel back with the team. Although they are bound to lack momentum compared with the competition, they continue to show the same professionalism and determination as when they first started out, and will hope to do well here. With Kris and Paul, we have a very impressive, experienced line-up." Kris Meeke: "Mexico is a bit like Catalonia, one of the gravel rallies where we were pretty competitive last year. Since then, we have made further improvements to the C3 WRC, so I have high hopes that we can get among the frontrunners. Of course, a lot of our rivals had reliability issues related to the altitude last year and are bound to be a lot better prepared this time round. It's definitely an event that I like, as the full power of the cars is not available, you have to be as clean as possible in your driving. I'm also pretty pleased with our recent tests. We seem to have made more progress, especially on the dampers in conjunction with Öhlins. That was Sébastien's impression too. In any case, I'm really looking forward to it. We need to make the most of running seventh on the road on day one – that will be key in getting a good result." 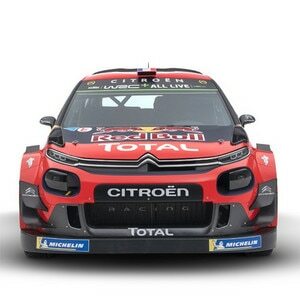 Sébastien Loeb: "This is a rally that I have always loved, so I have high hopes I will enjoy these stages in the C3 WRC, which is an exciting car to drive. Other than that, I have the same uncertainties as everyone else, although I hope to be more or less on the pace, I have no idea where I stand in relation to the other drivers, so I can't wait to get started. You have to bear in mind that this is still the world championship. The other drivers haven't stood still over the last few years, in any case, I'm pleased with the testing we did. I covered almost 500 kilometres in two days. I found the C3 WRC well balanced and I felt that it had improved again since my last test outing at the end of 2017. I have tried to give myself every chance by spending some time in a DS3 WRC beforehand to get the feeling and my reflexes back, and by watching some on board video footage from previous rallies. 28% of the course is going to be new to me, compared with just 4% for the others, but that's pretty positive because it is one of the events I still know best. However, my memories of the 72% that I have driven before go back six years, so I've done a little bit of work so that I don't feel completely disorientated. I hope my position in Friday's running order (11th) will help me to get my bearings because with the current regulations, you really need to have a good first day, otherwise your rally suffers."